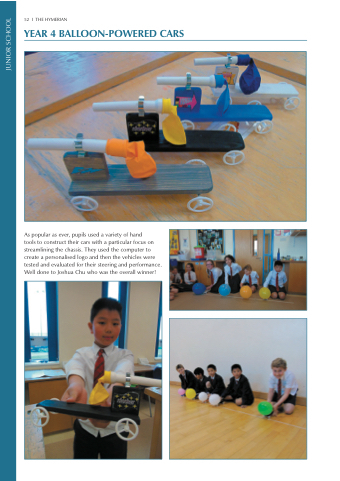 tools to construct their cars with a particular focus on streamlining the chassis. They used the computer to create a personalised logo and then the vehicles were tested and evaluated for their steering and performance. Well done to Joshua Chu who was the overall winner!